Welcome and thanks for visiting USGamblingSites.com. As our name suggests, the purpose of this site is to help Americans find trustworthy, reputable and honest places to gamble online, that are 100% legal & regulated according to current USA laws. On our site, you'll find in-depth coverage of the US regulated market with expert insight and analysis from our team of journalists. We've also built detailed sections on state-by-state legislation, as well as reviews of top sites including online casinos, sportsbooks and poker sites. 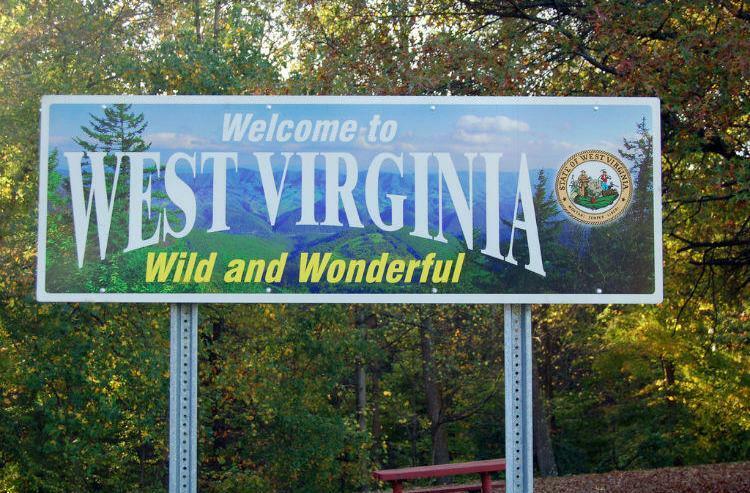 West Virginia: When Will iGaming Launch? While the USA is historically one of the more challenging regions in the world when it comes to online gambling, the tides are changing and new regulations mean players from many states now can play completely legally online. 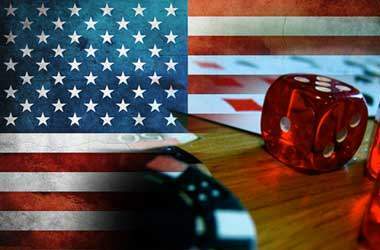 With recent changes to US laws including the repeal of PASPA, as well as intense lobbying from gaming companies globally, the American market is finally starting to open up to legalized and regulated gambling - which is great news for US players whom typically have been weary of offshore sites (with good reason). To give you some context, it’s estimated that the US gambling market is #2 in the world at $25.43 Billion a year, just behind China who has about $7 Billion more in annual revenue. Needless to say, gambling is a very popular past time in the US and where there is demand there will be companies (both good and bad) offering services in the marketplace. Even though this is the case, one of the biggest issues for new players is figuring out what sites can be trusted since historically there has been a lot of turmoil with US operators taking player funds, having rigged software or simply going out of business and vanishing overnight. One of the interesting nuances about US gambling laws is that many are decided on a state level, and because of this there are different regulations put in place state by state, as well as varying acceptance levels from different sites. For example, traditionally players in states like New York, Nevada and others have more limited options than the rest of the country due to more stringent regulations. Below you’ll find a comprehensive guide to gambling sites by state so you can select a trustworthy place to play based on where you live - this list is updated frequently to reflect current market conditions. This is definitely one of the most frequently asked questions by people looking to play online and the short answer is yes, there is no definitive law preventing US residents from gambling online, in fact, there is regulated legal gambling in a number of US states including Nevada, New Jersey and Delaware. To date, no individual has ever been charged in the US simply for playing online, and it's unlikely this will ever happen given the current climate moving towards regulation. That being said, the US Government has implemented a number of laws that restrict both banks and operators from offering services to Americans, however enforcement to date has been relatively lackluster and there are still lots of offshore sites offering real money services in the United States. Wire Act – The Federal Wire Act was introduced in 1961 and signed off by JFK with the principle purpose of making interstate gambling illegal as a way to combat organized crime. As a package of 8 different bills under the Inter-State Anti-Crime Acts, the Wire Act originally sought to make illegal transactions related to gambling (bookmaking for example) across state lines and had nothing to do with the Internet (as it wouldn’t even exist for another 30 years). After the advent of the Internet, the law was re-purposed as a way to combat telephone bookmaking, and later offshore companies that were offering betting services to Americans online. One thing that’s important to note about this law is that it specifically focuses only on sports betting and has nothing to do with online casino games or online poker. It’s believed that a major part of this has to do with protecting the integrity and profits of the professional sports leagues that operate in the US. UIGEA – Known as the Unlawful Internet Gambling Enforcement Act, UIGEA is a bill that was passed in 2006 by George W. Bush that focuses on restricting banks from processing transactions in the US related to online gambling. In a nut shell, the law makes it illegal for banks to knowingly approve credit card and other transactions if the customer is attempting to make a deposit at an online gambling site. Initially, the fallout from this law was massive, with many of the top operators and publicly traded gaming companies at the time resigning to leaving the US market (Party Poker and Poker Stars to name a few). In many circles, it was believed that this signaled the end of the unregulated US market and overnight billions of dollars in revenue was wiped off these companies’ books who has spent years building up a lucrative customer base in the US. While there was mass panic at the beginning, in reality the passing of UIGEA had little impact on actually restricting sites from operating, and instead cleared the way for smaller more resourceful companies to secure big positions in the market. So with that in mind, what’s the outlook for the US? Although the US Government has made multiple attempts to control online gambling for Americans and generate tax revenue, it’s very unlikely the market is going anywhere anytime soon. Quite simply, there is far too much demand and lots of established companies willing to offer their services to players. We expect that over time, more and more US states will introduce regulated gambling, and there has been lots of debate at the Federal level about legalizing online sports betting nationwide. However, even if full regulation were to occur, it’s like the offshore companies will still thrive since they are more experienced, will have better promotions, payment methods and won’t be required to disclose tax information.